Gulf War Veterans who meet the criteria below do not need to prove a connection between their military service and illnesses in order to receive VA disability compensation. 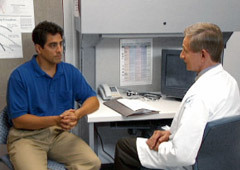 Chronic Fatigue Syndrome, a condition of long-term and severe fatigue that is not relieved by rest and is not directly caused by other conditions. Fibromyalgia, a condition characterized by widespread muscle pain. Other symptoms may include insomnia, morning stiffness, headache, and memory problems. Functional gastrointestinal disorders, a group of conditions marked by chronic or recurrent symptoms related to any part of the gastrointestinal tract. Functional condition refers to an abnormal function of an organ, without a structural alteration in the tissues. Examples include irritable bowel syndrome (IBS), functional dyspepsia, and functional abdominal pain syndrome. Undiagnosed illnesses with symptoms that may include but are not limited to: abnormal weight loss, fatigue, cardiovascular disease, muscle and joint pain, headache, menstrual disorders, neurological and psychological problems, skin conditions, respiratory disorders, and sleep disturbances. Due to a recent change in policy, the alphabetized Ships List below is out-of-date (as of February 5, 2016). This page is for archival purposes only. We are working as quickly as possible to update this information. This is a VA list of ships that are now authorized for those sailors and Marines, to file claims for presumptive exposure to Agent Orange during the VietNam war for the currently recognized disabilities allowed by congress. Before this list was put out, it was always an extreme hardship to prove exposure to Agent Orange, for anyone who served on ships of the Navy, thus their claims were always denied. VA is rolling out newly designed, more secure Veteran Health Identification Cards. The new cards are distinguished by additional security features and have a different look and feel. 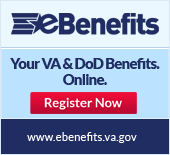 NEW VA Forms and procedures are being introduced on 24 March 2015.